Amarx Construction has the experience you need to build your new home. If you already have land, we can meet you on site to discuss site related obstacles that can help you with the design of your new home. If you are looking for land, we can help you decide which piece of property would work best with what you are trying to accomplish with your new home. We take your home very seriously, and will work with you as much, or as little as you wish. We will provide you with a building schedule up front, and will keep you updated weekly with any schedule changes, or any decisions that need to be made. We pride ourselves on building quality homes, within budget, and on time. When you have a design ready, we can turn a price for the construction around to you in as little as a week for the entire home. If you need design work done, please contact us and we can help you through this process as well. If you are looking to build a new home, look no further than Amarx Construction for your project. Call or email us today for more information. Wright Family Custom Homes is a premier luxury custom home builder serving Asheville and all of Western NC. As a family-owned, local construction company founded on a tradition of superior craftsmanship that dates to the mid-1800s, we have a reputation for building custom homes of unparalleled quality, style, and value. In every phase of constructing a home, in every detail inside and out, the Wright Family Custom Homes team settles for nothing less than the very best. Our commitment to building luxury custom homes marked by timeless design features and superior craftsmanship will leave a lasting impression on your family and everyone you welcome into your home. We are proud to serve clients in Asheville and throughout Western NC and look forward to helping you realize your vision with a home that suits your lifestyle and needs for generations to come. Our residential construction company builds on private lots as well as in the region's finest planned communities, including: The Ramble Biltmore Forest Biltmore Lake Wildcat Cliffs The Cliffs at Walnut Cove Other Cliffs Communities For additional information, we invite you to contact us today. 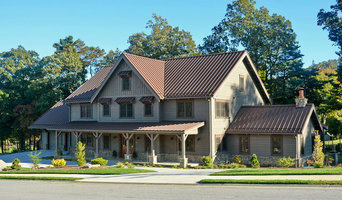 Asheville custom builder specializing in high performance homes. Indoor air quality, cost-effective energy efficiency and building science craftsmanship come standard on every build. Working with architects and clients to build better homes with a commitment to exceeding expectations. In business since 1984, Gabriel Builders is an award-winning custom homebuilder and design firm with an emphasis in creating lifelong relationships. Our goal is to create a handcrafted home that is a direct reflection of our clients' unique visions. We received the National Custom Home Builder of the Year award in 2014 along with numerous awards at a state level. We take pride in putting our heart and soul into each detail of our homes. Our luxury, high-quality homes can be found throughout the Cliffs Communities and the Carolinas in mountain, lake, and soon-to-come coastal regions. Every project that Aspen Builders executes is one of a kind. We build custom homes with exacting attention to detail and dedicated focus on client objectives. We employ a professional team of skilled local craftsmen and suppliers to build luxury homes. In addition to residential contracting we provide design/build services, construction consulting, and interior design consultation. Towery Builders, Inc. is a custom home builder in Asheville, North Carolina. Our approach is simple: we build new homes one at a time so your home gets the attention it deserves. Towery Builders provides attention and consideration to every detail of your new home's construction and subtle nuance of its design. Exceeding your expectation is our goal. Superior quality, craftsmanship and architectural detailing are cornerstones of our new homes in Western North Carolina. Towery Builders is a custom home builder specializing in personal service. Be sure to ask about our eco-friendly, green homes. Glennwood Custom Builders is a full-service residential design and build company servicing all of Western North Carolina and Upstate South Carolina. Our customers expect high-quality craftsmanship, inspired architectural design and utmost professionalism from their builder, and it is our mission to deliver that to each and every one of our clients. We are proud to have earned a reputation for delivering the highest quality custom homes with unsurpassed customer service. Our team consists of highly skilled designers, project managers and craftsmen, all working together toward the same goal: total customer satisfaction. Dan holds an unlimited building license in the State of North Carolina as well as being a licensed real estate broker. His 30 years of custom homebuilding experience covers all styles of homes including European, Arts & Crafts, mountain rustic, and contemporary. With Grammatico Homes, the client is intimately involved in the process from start to finish. Dan believes that constant communication between the builder and the homeowner—before, during, and after—is imperative to create a truly personalized home. Cool Mountain Construction, Inc is owned by Brian and Jenny Brunet. Brian is a licensed N.C. general contractor and has been since 1996. Jenny is a licensed N.C. real estate broker since 1997. With over 33 years of experience in construction, remodeling, and Real Estate Brian and Jenny have been helping their clients find the perfect location along with award-winning, quality construction of their dream home in the mountains. Brian started his career in a factory building modular homes in Wisconsin. From there he moved to Seattle where he framed and trimmed homes for 6 years. With his family in Florida and his father becoming ill he moved to Florida and starting framing and worked his way up to a superintendent and then a propjet manager for a large commercial contractor who has built and remodeled country clubs and upscale homes. After having enough of the heat and wanting to raise their 3 boys in the mountains of North Carolina we chose Fairview as our home and have never regretted it. M.S. Hammett Construction, LLC is a locally owned and operated building company specializing in the new construction of custom homes and renovations. We are general contractors who pride ourselves on keeping client relationships strong with our commitment to constant communication and transparency. Answering the phone and returning messages is a top priority. We are a purposefully- kept, small business, with a hands on management approach by the owner of the company from the developmental phases of the project until well after completion. This method has helped us earn a well respected reputation for attention to detail and a fine finished product. Our goal is to provide an intimate home building experience that exceeds your expectations in quality and craftsmanship, while providing an unparalleled working relationship. MSHC utilizes tools and systems that guide our clients through the many decisions, and demands good work from ourselves and our trade partners along the way so you can rest easy. Our team of experts and seasoned artisans make the difference and rise far above the norm and mediocrity as we strive daily to be the best at our chosen craft. Anyone can build a house, but to build a quality home it takes more than boards and beams and lumber yard products. We firmly believe it’s the people that we surround ourselves with and the pride and enthusiasm they exude that provides our clients with an unparalleled experience and superior product. We provide quality at competitive cost, our experienced staff expertly balances the need for qualified trades, products and competitive cost analysis, we don’t settle for lowest bid and never settle on craftsmanship.I am very confident when you learn of the vast experience and dedication of our team you’ll know the value of choosing our firm to complete your dream home. We have completed several hundred homes, many for CEO’s and Captains of Industry, including other custom home builders personal homes, and the Chairman of the Architectural Review Board of the Cliff’s Community chose our firm, hopefully you will entrust our team with your dream home too. We would be very pleased to learn more about your custom home needs and explore the possibilities of adding your family to our satisfied client list. A family business started by Steve Hamblen over a decade ago, Fairview Custom Homes has designed and crafted some of the finest homes in upstate South Carolina and Eastern North Carolina. Whether you’ve dreamed of waking up to beautiful mountain views or of relaxing by the lake after a round of golf, Fairview Custom Homes can assist you in turning your passion into a reality. Fairview is a design and build firm in the Cliffs Communities, Lake Keowee and the Upstate of South Carolina, and we specialize in one-of-a-kind luxury homes. Founder Steve Hamblen began home building in 2004, after years of engineering experience in the Midwest where he ran several successful companies that are still in business today. Steve made it his goal to combine his entrepreneurial skills with a higher level of construction quality in the residential construction industry previously unknown in this region. As a 6-year board member of the Federation of American Scientists in Washington, DC, Steve's enthusiasm for science and business alike help him creatively adapt to the economic challenges that home builders and homeowners feel from time to time. With the help of his sons, Chris and Drew, Fairview has become one of the top home builders in The Cliffs Communities and upstate South Carolina. Now a multi-generation company, Fairview Custom Homes is able to combine knowledge, experience, integrity, and value into building custom homes and stands poised to push the bar higher for years to come! For Asheville residential home builders who also act as developers, the job starts well before the first nail is driven. They perform local market research to determine whether the prospective homesites make sense in the Asheville, NC market, as well as survey the land on which the house will be built to make sure it is suitable for construction. Custom builders also obtain the necessary permits. 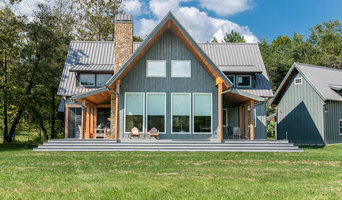 A good custom home builder in Asheville, NC has skills that go far beyond construction — he or she must supervise subcontractors and artisans; keep tabs on local zoning regulations, building codes and other legalities; inspect work for problems along the way; and perform dozens of other roles that are essential in building a quality house. Here are some related professionals and vendors to complement the work of home builders: Interior Designers & Decorators, Landscape Architects & Landscape Designers, Architects & Building Designers, Kitchen & Bath Designers, Specialty Contractors. House builders are responsible for ensuring that the home-building project sticks as closely as possible to the specified timetable, particularly in the event of change orders. Custom and luxury home builders in Asheville, NC also need interpersonal skills to deal with clients of all types, soothe frazzled nerves, negotiate conflicts and resolve problems. Find custom home builders in Asheville, NC on Houzz. Narrow your search in the Professionals section of the website to Asheville, NC home builders. You can also look through Asheville, NC photos to find a house you like, then contact the builder who worked on it.